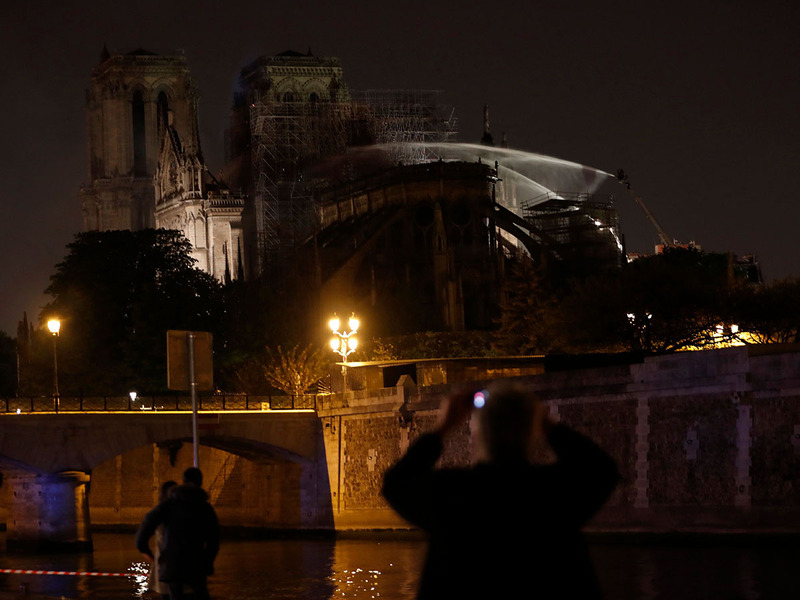 Paris: A huge fire that devastated Notre-Dame Cathedral has been put out, the Paris fire brigade said on Tuesday after firefighters spent nine hours battling the flames. "The fire is completely under control. 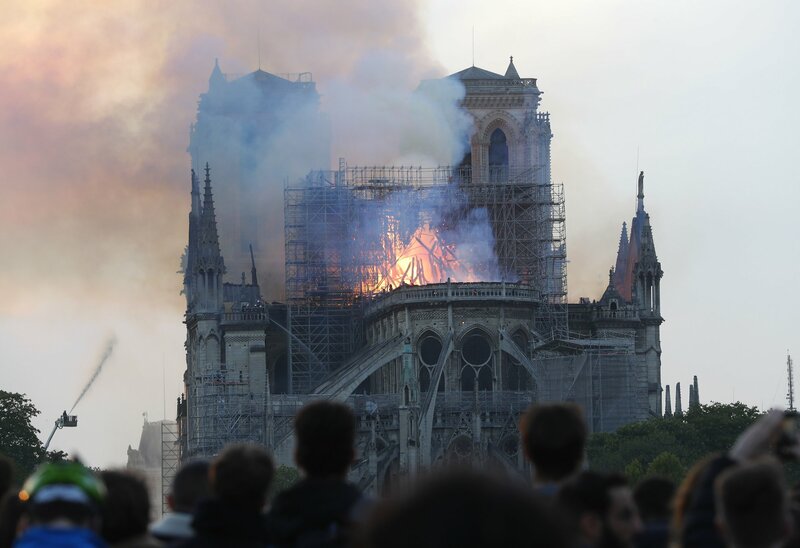 It is partially extinguished, there are residual fires to put out," spokesman Lieutenant-Colonel Gabriel Plus had said earlier on Tuesday. 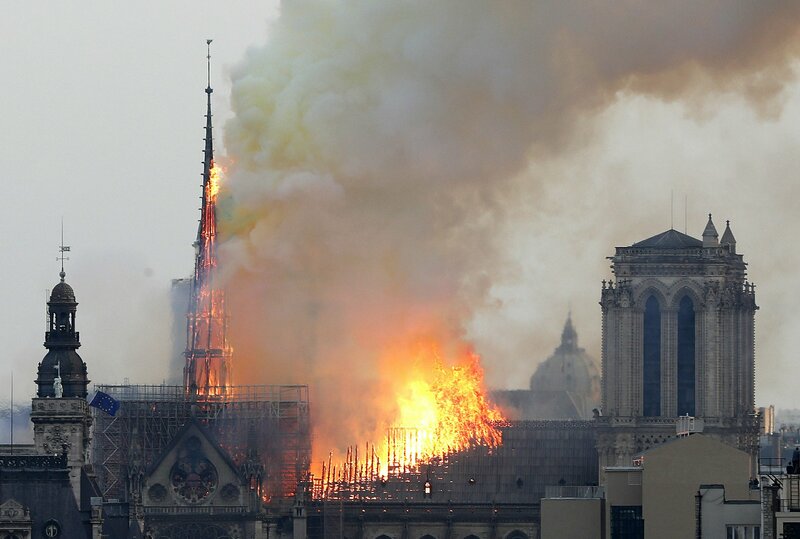 The fire began around 6.50 pm (1650 GMT, 8.50pm in UAE). 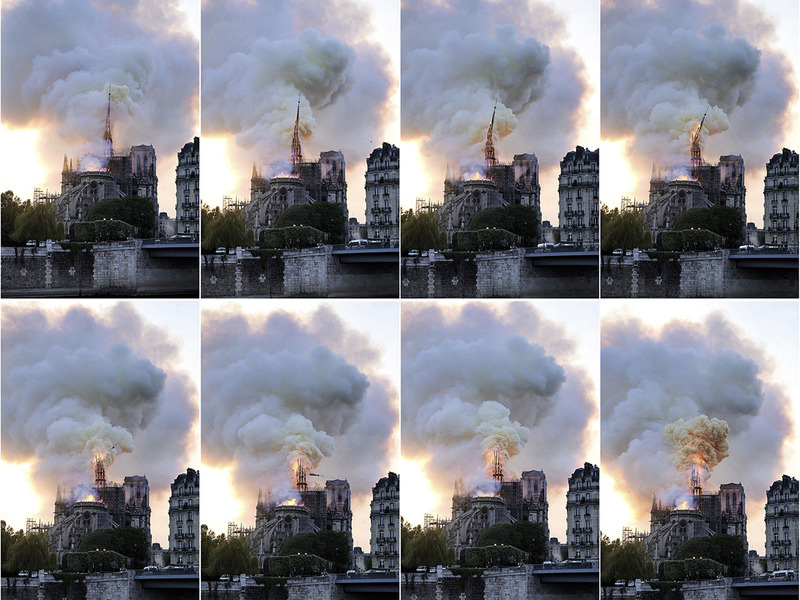 Firefighters earlier won an hours-long battle to save the main structure of Notre-Dame Cathedral in Paris, after the colossal fire caused the spire of the historic edifice to crash to the ground and wiped out centuries of heritage. 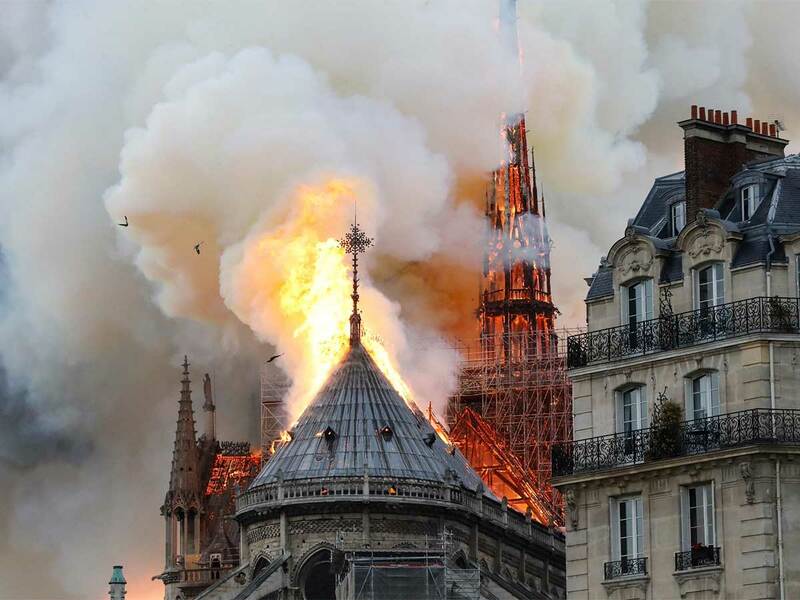 Prime Minister Edouard Philippe said he felt a “sadness beyond words” but added the fire services “were still fighting... heroically, to save what can be saved”. 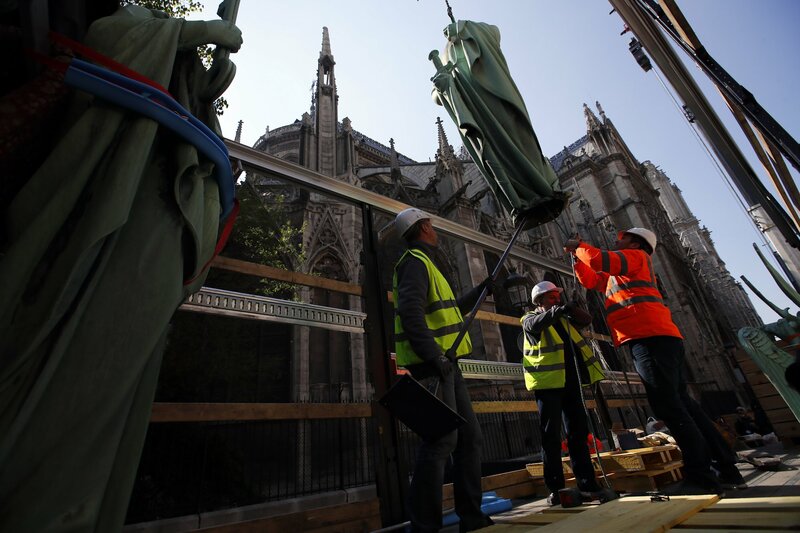 The Holy Crown of Thorns and a sacred tunic worn by 13th-century French king Louis, two irreplaceable artifacts, had been rescued, the cathedral rector Patrick Chauvet said. 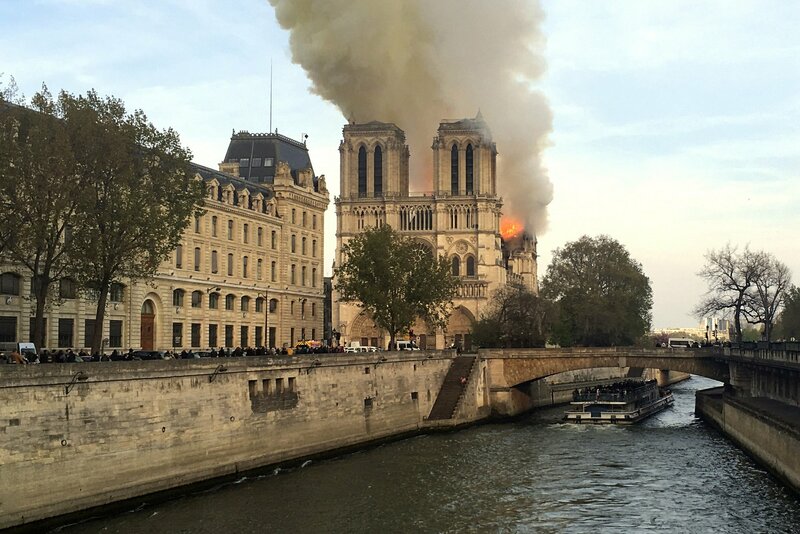 "The fire affected two-thirds of the roof, which has collapsed, as well as the spire," said Paris fire brigade chief Jean-Claude Gallet, adding that the operation was focused on preserving the rear of the cathedral where the most valuable works are located. 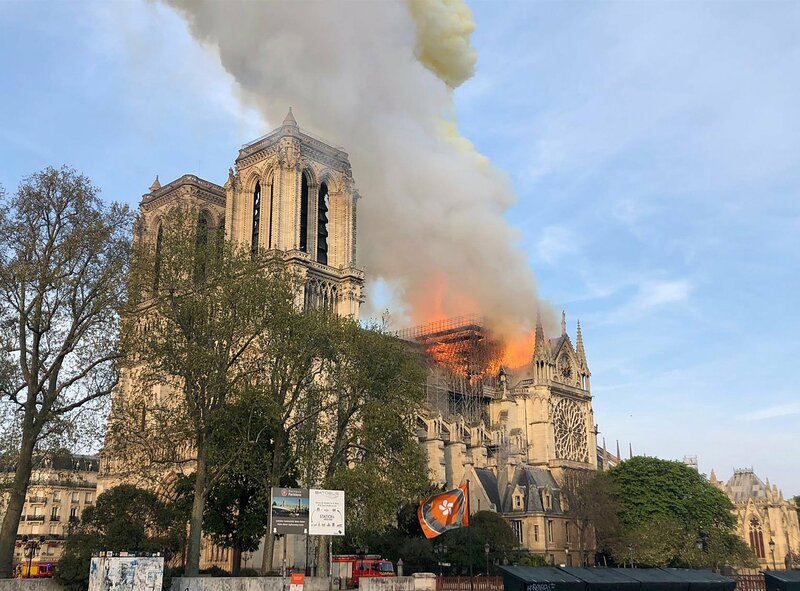 Notre-Dame (French for "Our Lady") de Paris, also known as Notre-Dame Cathedral or simply Notre-Dame, is a medieval Catholic cathedral on the Île de la Cité in the fourth arrondissement of Paris, France. The cathedral was begun in 1160 and largely completed by 1260, though it was modified frequently in the following centuries. The spire stands 69 metres. 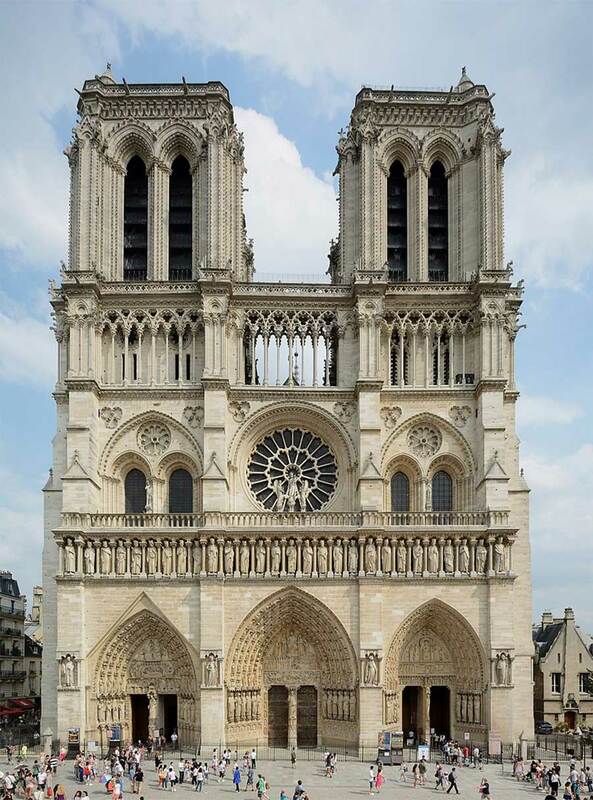 The cathedral is considered to be one of the finest examples of French Gothic architecture. 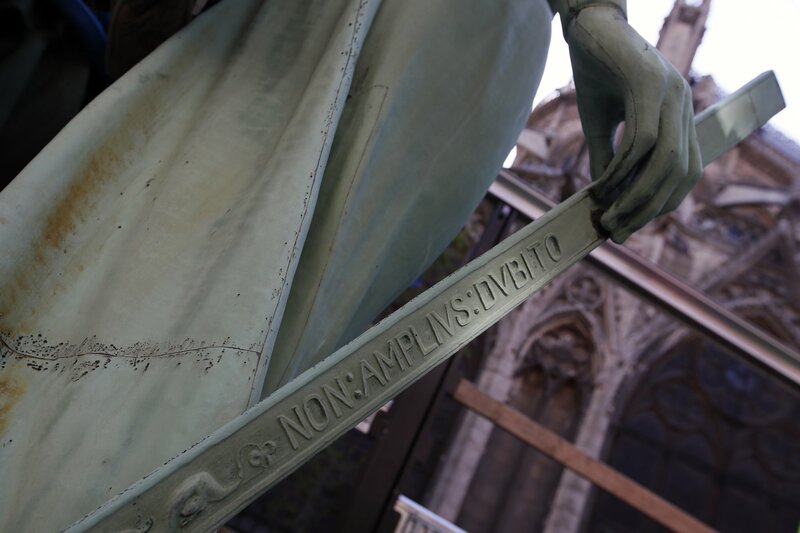 As the cathedral of the Archdiocese of Paris, Notre-Dame contains the cathedra of the Archbishop of Paris (Michel Christian Alain Aupetit). 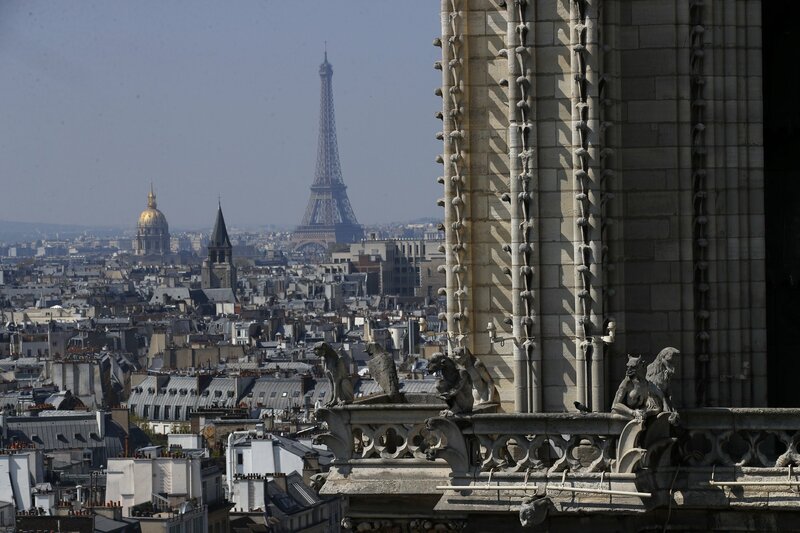 Up to 12 million people visit Notre-Dame yearly, it thus being the most visited monument in Paris.